Global trade will increase over the coming years asking for solutions to cope with growing amounts of transported goods. Dryports can optimise the distribution of goods by accelerating transport flows, optimising logistics chains and improving the coordination of traffic infrastructures. 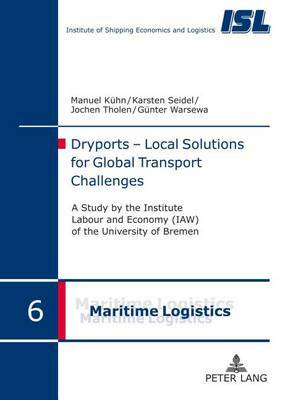 The study presented in this book describes how and under what conditions dryports work efficiently as a complementary partner for seaports and as an option for future-oriented and sustainable logistics. The authors identify similarities and differences across four cases at: Bremen/Bremerhaven-Germany, Felixstowe-UK, Gothenburg/Falkoeping-Sweden, and Zeebrugge-Belgium and suggest under which conditions dryports have a good chance to succeed. The main conclusion is that spatial relief and environmental concerns in implementing and running a dryport do matter but, at the end of the day, competition and governance decide.